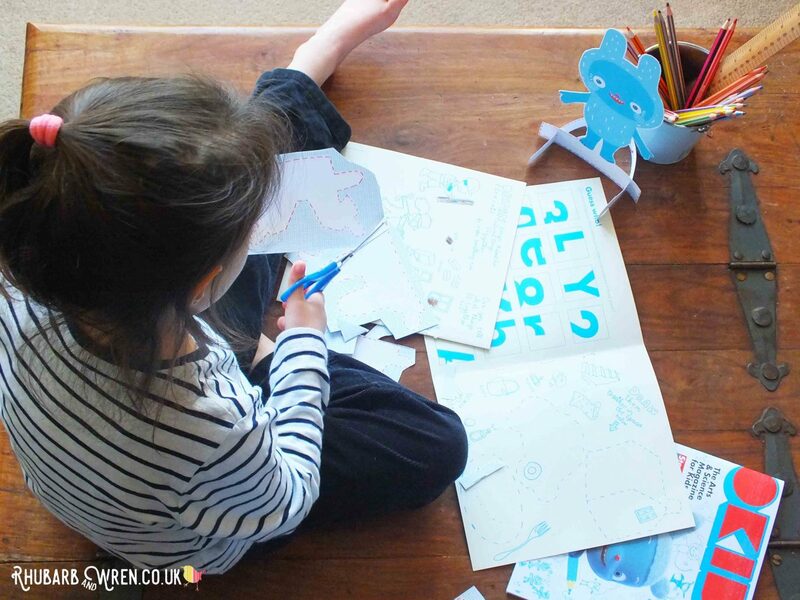 Chances are, if you’re the parent of a pre-teen child, you’ve probably come across the lovable blue bundle of chaos that is ‘Messy Monster’ – the anarchic main character in the CBeebies tv show ‘Messy Goes to Okido’. What you might not be aware of though is that this show is actually a spin-off from the amazing arts and science magazine ‘Okido’, aimed at kids from around three to eight years old. 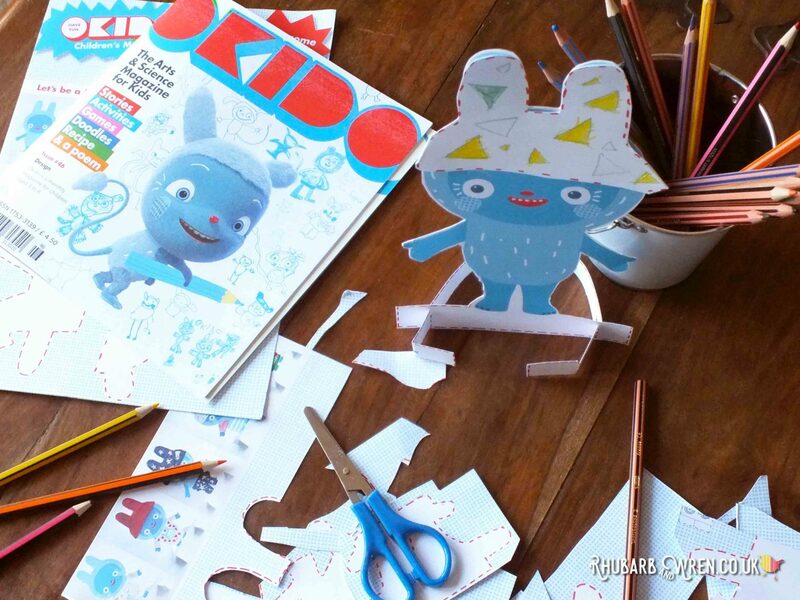 Okido is full of charming characters and illustrations that capture kids imaginations. 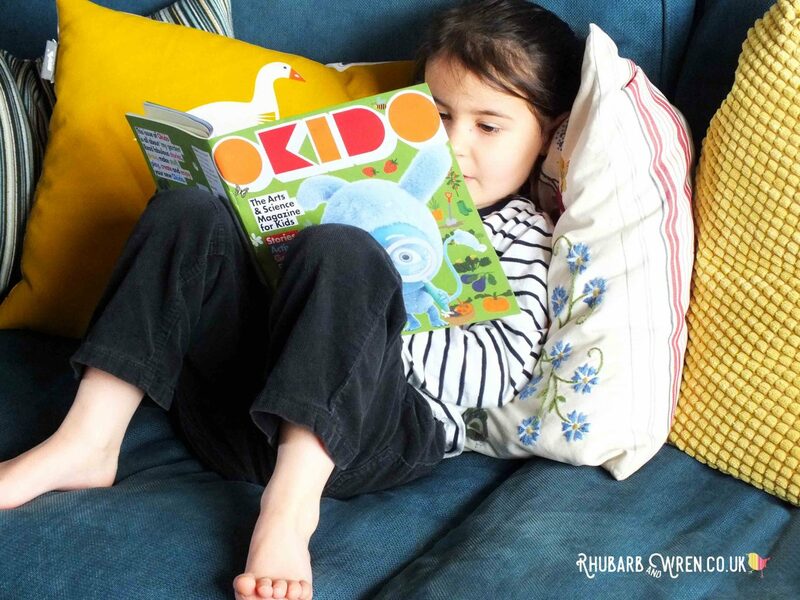 Just like its offshoot, Okido magazine is highly entertaining and simultaneously thought-provoking romp, featuring (among other things) the adventures of Messy Monster and his friends as they have adventures and seek answers to questions about the world and the way it works. The magazine is full of stories, activities and games, as well as the odd recipe and poem. What it isn’t full of is adverts – not even for other Okido products and toys. Almost every square centimetre of magazine is content, which makes such a refreshing change from the ‘toy catalogue’ heavy-handed marketing to kids that frequently appears in other magazines. What few adverts there are tend to be very subtly integrated into the content – such as a thumbnail QR code and a few lines of product details incorporated into pages with related content. As these aren’t directly targeting the kids and are very discrete, they’re the type of ads I can live with – especially as they tend to be as good looking as the rest of the content in the magazine! More of a guest appearance than an ad, even the adverts in Okido look great! You also don’t get a “free” gift with Okido. Instead, in a brilliant bit of thinking designed to make finicky people like me happy, each magazine has an A4 pullout section printed on thin card, which features something to cut out and make. I can’t tell you how annoyed my kids get when they have to cut out something in a magazine where the reverse side is part of a poster, story or spread they want to keep. 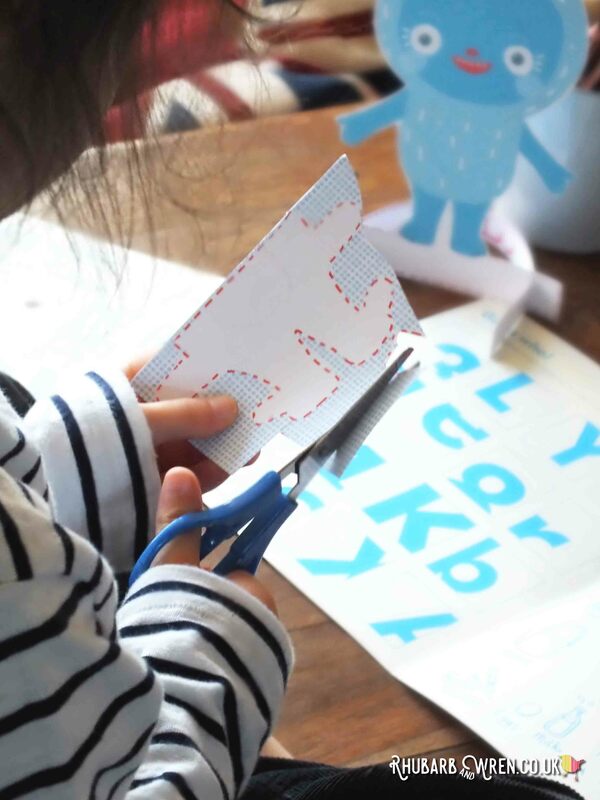 With Okido, the cutting-out (which is such an important skill for this age group to practice) and an eight-page doodle section are self contained pull-outs – no cutting up the magazine to do them. This is especially great given how lovely Okido is – my kids are very proud of their coloured in editions and keep them to look at again and again. The centre pull-out in Okido magazine is all about marking, making, and creating . 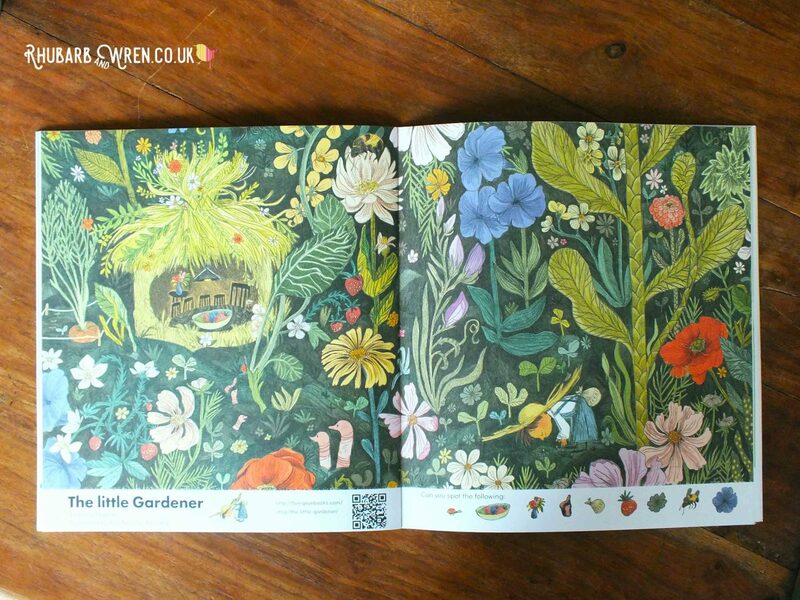 This is another way that Okido differs from your average supermarket-shelf kids magazine for us. As each issue is themed, they form a mini reference library on subjects that range through the arts and sciences, covering all sorts of topics that fascinate young children – from Creepy Crawlies to the Brain to Space, Weather, Friends, Emotions, Architecture… We’ve been able to refer back to past issues when these topics have cropped up at nursery and school or in general discussions. 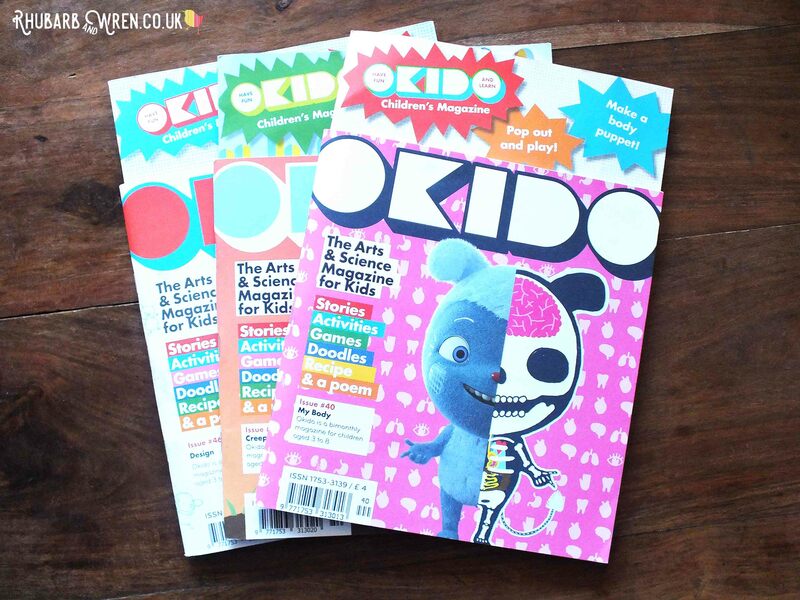 Okido is the perfect STEAM magazine for kids – mixing art and science beautifully! The features within the magazine are well thought out, taking the readers on a series of thematically-linked adventures that entertain as they pass along little snippets of information and facts. 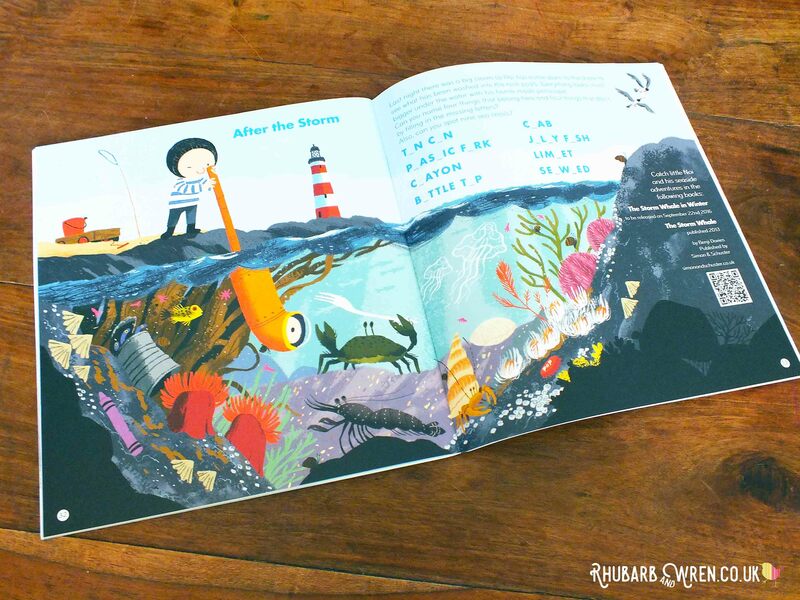 There’s a range of (always beautiful) illustrative styles, with some absolutely gorgeous spreads – wonderful illustrated poems and the regular feature ‘Find Foxy…’, for example, which is a great activity to do with non-readers and gives a lovely way in to talking with them about the issue theme. Find Foxy is an Okido regular feature, and is always a gorgeous piece of art too. The practical activities are equally good – a mix of arts, crafts, science and recipes, but all very child-centred. I’m a believer in the idea that the value of arts activities for kids is in the process of making, rather than in the end result (what’s known as ‘process art’), and there’s plenty in Okido to engage the kids in learning experiences. 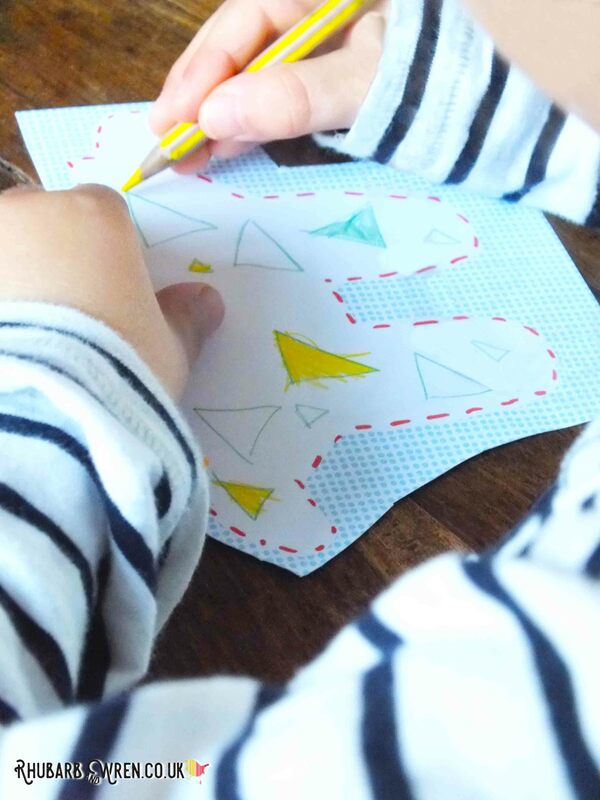 Drawing and cutting prompts are a great way to get kids doodling and practicing their scissor skills. While the content is obviously beautifully designed and presented, it’s great to know this is an ethical choice too. Okido is printed using vegetable inks on recycled, matt paper that can be drawn on with just about anything. Kids know just by the feel of it that this is something that is okay to draw on – and just in case there’s any doubt, the welcome note tells them this directly. 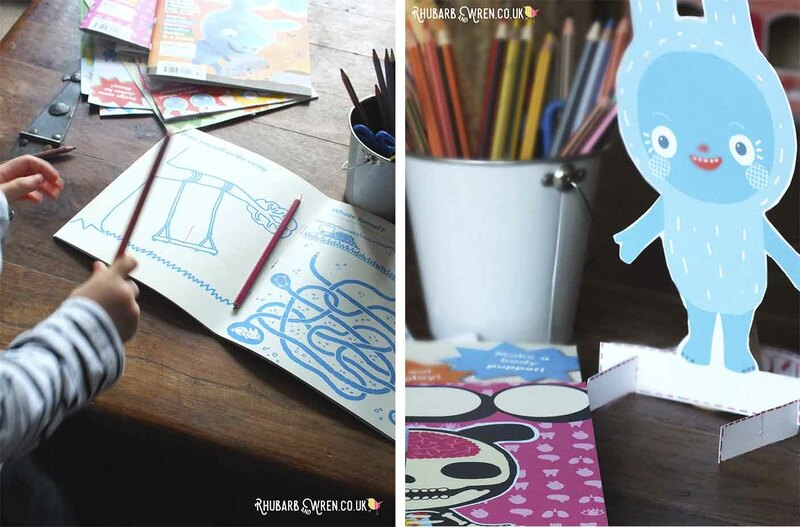 While it might cause me to wince just a little, kids adding their drawings and marks to these beautiful pages shows how interested and involved they are – and it is, after all, their magazine. 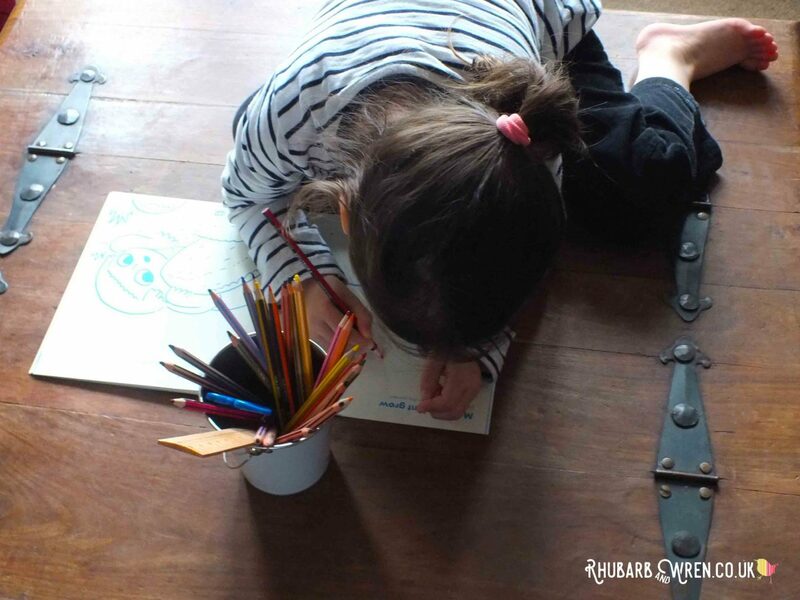 Even before reading, mark making, drawing and colouring allow kids to lose themselves in another world. Okido is currently published ten issues a year – it’s monthly apart from July/August and November/December, when there’s one bumper issue for each of those two-month slots. The price – currently £4.50 an issue – is about average for a kids magazine if you buy it in the shops. Okido regular, Squirrel Boy, shows kids how stories are made. 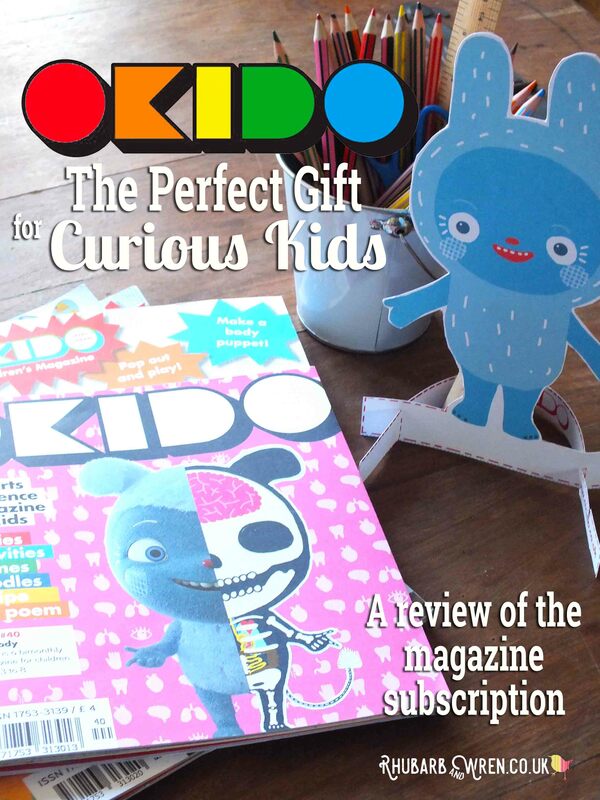 ​However, with this year’s Christmas Gift Subscription, kids also receive a back issue, the Christmas Parties issue and an Okido colouring book – which effectively means you’re buying twelve issues for £35 – saving £1.58 per copy on the individual purchase price and getting the colouring book thrown in too. This makes the subscription great value for money, and getting the extra issues and colouring book before Christmas means you can avoid giving the dreaded envelope and instead have a nice pile to wrap for under the tree! Fun activities help kids learn through play. 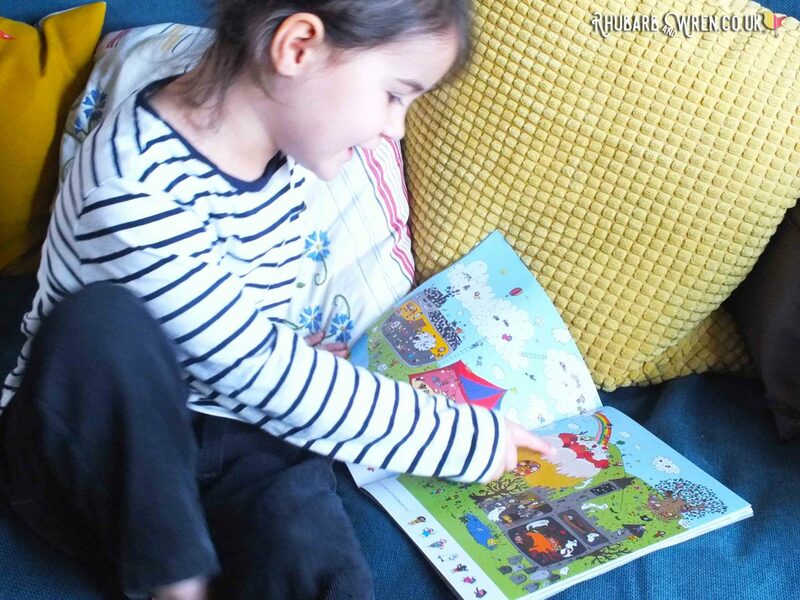 For us, giving a subscription as a gift is a great way of avoiding the ‘toy overload’ kids often suffer from at Christmas and on birthdays, and means that the kids can look forward to their own regular delivery in the post (something mine love!). And as an added little bonus, something I didn’t expect with our magazine subscription is how receiving a monthly delivery can also help kids get to grips with measurements of time – a new magazine being a marker for them that it’s been a month since the last one came and often leading us to a chat about what month and season it was now, and what things would happen in that month. Got to love a completely random side benefit! We were sent a few issues of Okido for the purposes of an honest review, though – full disclosure – as we are fans we had many more issues at home already! 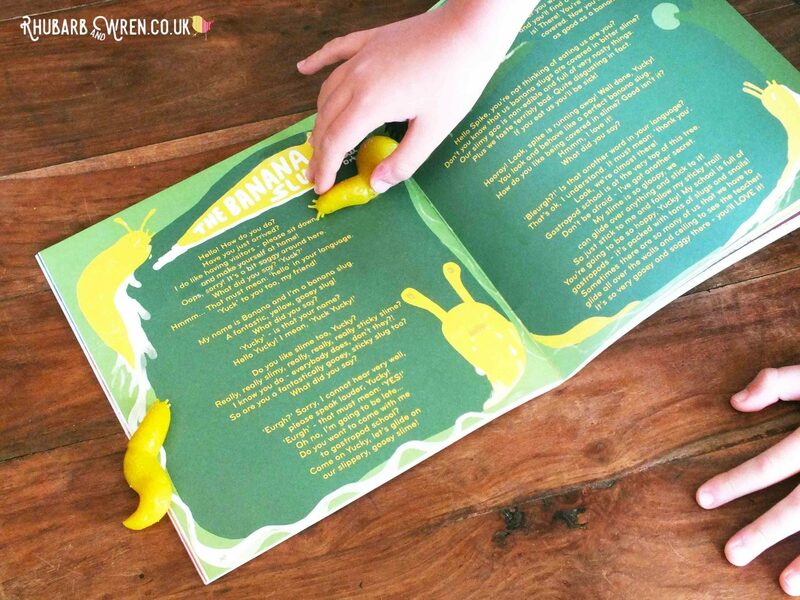 The kids were delighted to find a banana slug poem for their own sluggy friends! 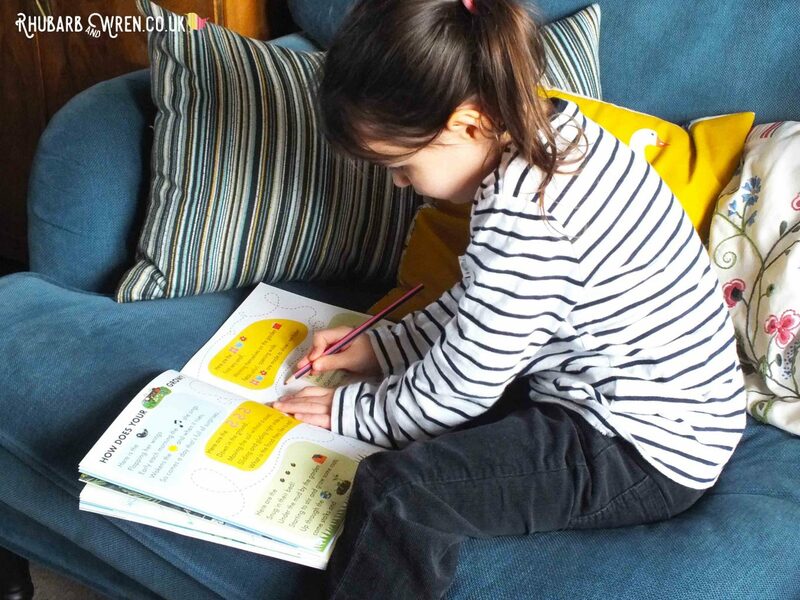 Mark making and writing skills are never dull with Okido magazine. Okido arts and science magazine for kids – STEAM learning made fun! Kids Magazines, Learning Through Play, Okido, Preschool Activities. Bookmark.